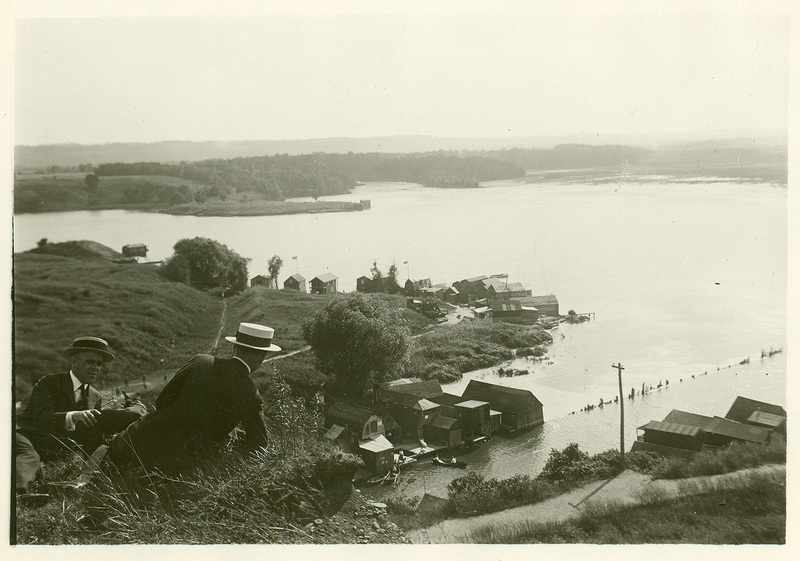 Description: A view of the Desjardins Canal with two men in the foreground. The Desjardins Canal once led from the city of Dundas to Lake Ontario. As a young naturalist, William Osler took samples from the canal in search of freshwater polyzoa in the spring of 1867; he later recounted this experience in the paper, “Canadian Fresh-Water Polyzoa” which was read before the Natural History Society in Toronto on January 29, 1876. See Harvey Cushing, The Life of Sir William Osler (1925), volume 1, p. 45 for the relevant section of Osler's resulting paper, "Canadian Fresh-Water Polyzoa."